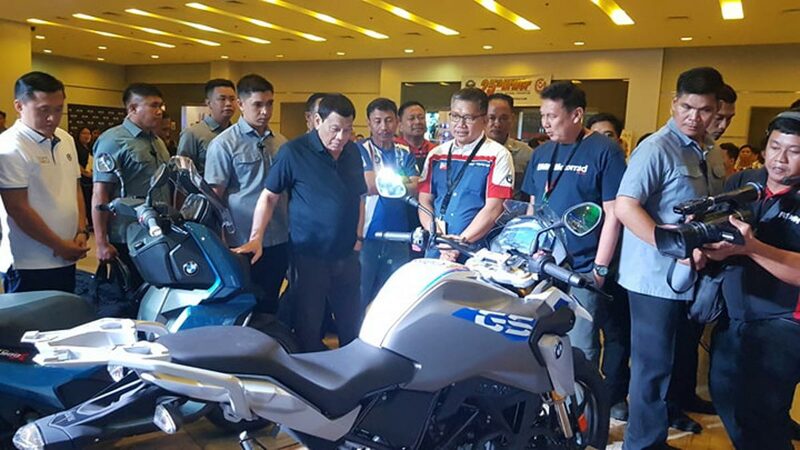 In his speech during the 25th National Federation of Motorcycle Clubs of the Philippines (NFMCP) National Motorcycle Convention in Iloilo City, Duterte said he will schedule a meeting with Senator Richard Gordon to convince him to remove the 'front license plate' clause in RA 11235, because it poses danger to the rider or pedestrians in the event of an accident. Gordon is the author of RA 11235, which was signed into law by the President last month. "Kahit sa ibang bansa, wala namang plaka sa harapan ng motorsiklo. 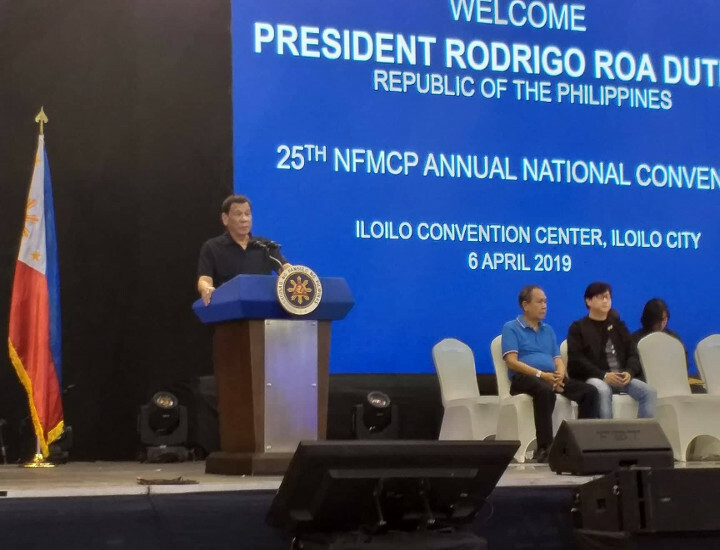 Posible kasing tumusok yan sa rider," Duterte told more than 3,000 riders who were present at the Iloilo Convention Center. He also pointed out that a metal plate has sharp edges that could harm not only riders but also pedestrians in the event that it flies off from its mounting bars. Aside from dropping the clause that mandates the use of front license plates, the Chief Executive wants the penalty for using motorcycles without license plates to be lowered from P50,000, as indicated in RA 11235, to at least P10,000. "Mas malaki pa kasi yan (the P50,000 fine) kaysa sa halaga ng motorsiklo," he stressed, drawing applause from the big bikers. In an interview, Ejercito expressed relief over the President's decision to push for changes to RA 11235. "Para akong nabunutan ng tinik," Ejercito said. Like Gordon, Ejercito also drew criticism from the riding communities for allowing RA 11235 to be approved in the Upper Chamber despite being a rider himself. 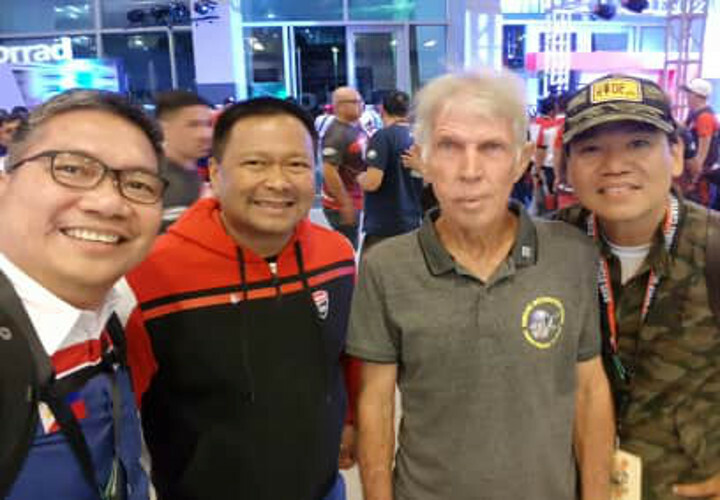 Ejercito thanked former motocross champ Butch Chase, a long-time riding buddy of Duterte, for helping him convince the President to initiate changes to the controversial law. "I felt so grateful that the President took my advice," Chase said.